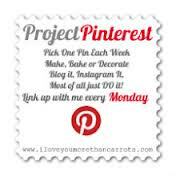 I mean Happy Pinterest Monday!! 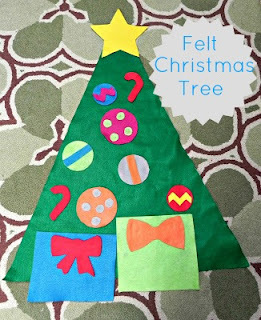 and have been itching to do that felt Christmas tree that is all over Pinterest. And guess what I did! 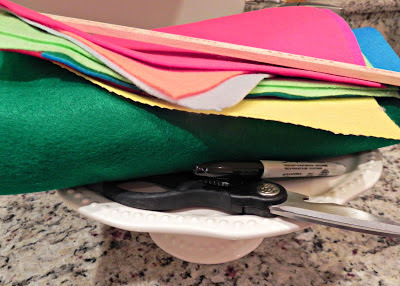 The Gingerbread Blog has done this link up for Project Pinterest! It is defiantly my kick in the booty to get this pin done. I am so happy with how it turned out too! and I am going to provide you with some little extras so keep reading. Lay out the big piece of green felt. 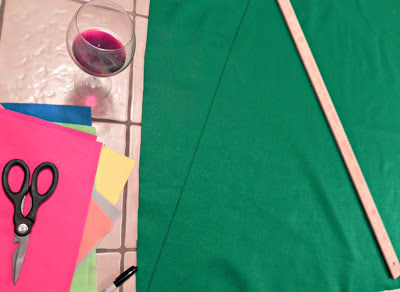 Trace a bit triangle on it using your yard stick and sharpie. Cut it out using sharp scissors. 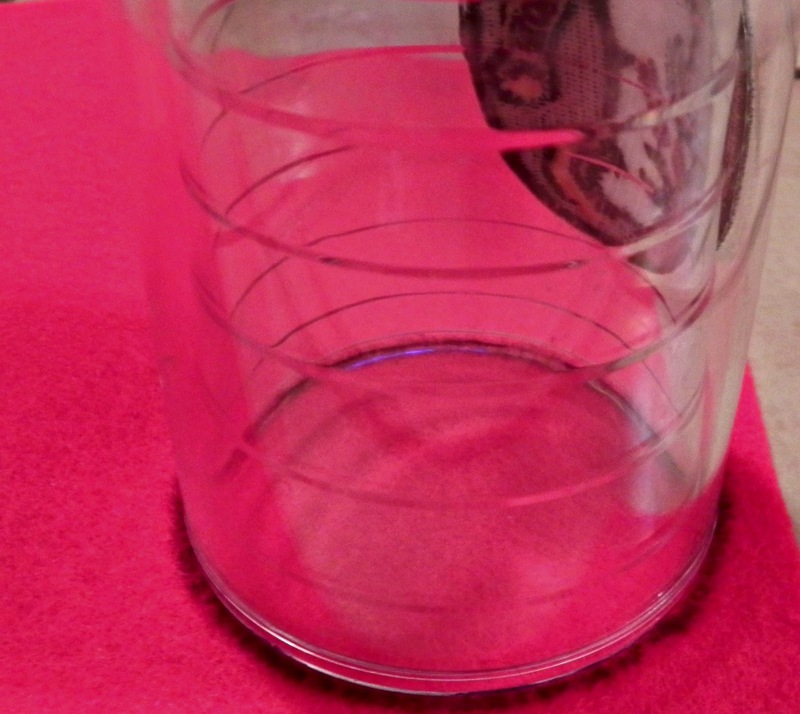 Now, trace circles using cups of varying circumferences. Draw as many circles as you want as ornaments. you can also add some polka dots and stripes to your ornaments. I decided to make some ornaments chevron too for an extra punch of sass. This is where the hot glue gun comes in handy. Presents under your tree are a must, cut some large squares and don't forget the bows! Final product with with the Star and all! The bows, polka dots, stripes, chevron stripes and star were all hot glued. This Christmas tree is C approved! It will keep them entertained for hours for a bit. I love the way it turned out!! I will definitely be doing this for little miss Maya. I love it! 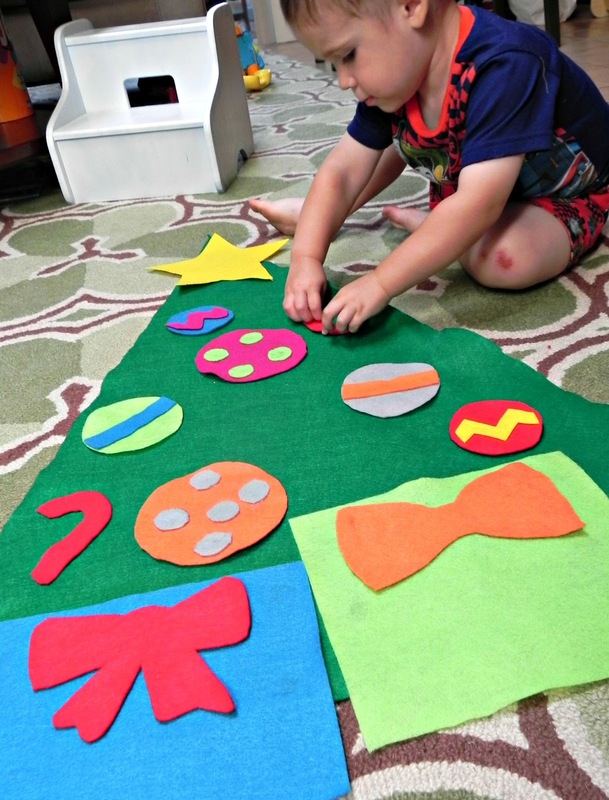 Am I too old for a felt christmas tree in my house?? Merry errr, I mean, Have a great day!! Cutest, EVER!! I cannot wait to do this.. next week's project pinterest post is a christmas wreath.. LOL. it's NEVER too early! This is on my to-do list. In fact, I've had the materials to do it for months! This is super cute!! Christmas is coming up so soon it's crazy. Thank you so much for linking up with us!! THis is super cute and I have been feeling so "Christmas-y" too lately!! (Hence my DIY ornament tutorial today lol) THank you for linking up with us!! That is super adorable...definitely going to try this one for 16 month old.